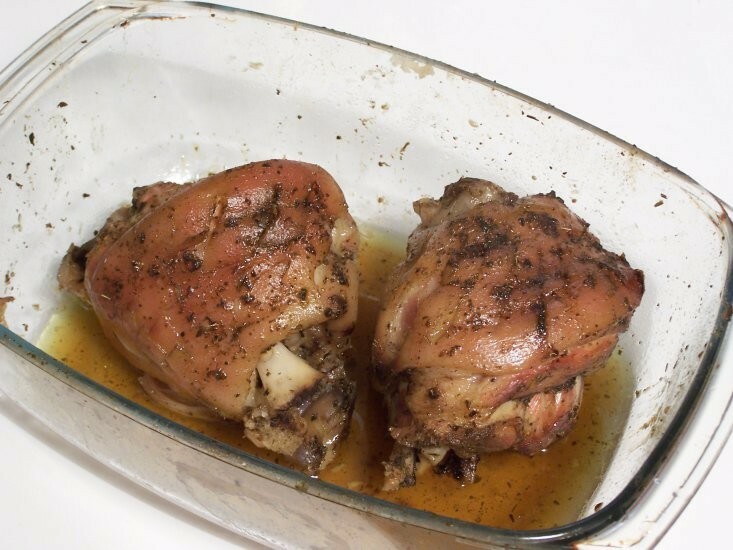 Smalec: Fried lard, often served complimentary before a meal with hunks of homemade bread. It sounds evil, but it works like a miracle any day, especially an arctic one. Ideally partnered with a mug of local beer. Any Polish restaurant worth its salt should give you lashings of this prior to your meal. You only need ask. 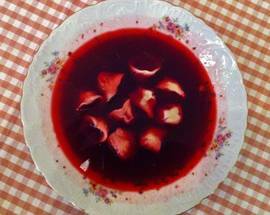 Soup: Keep your eyes peeled for Poland’s two signature soups; żurek (sour rye soup with sausages and potatoes floating in it) and barszcz (beetroot, occasionally with dumplings thrown in). Table manners go out of the window when eating these two, so feel free to dunk bread rolls in them. 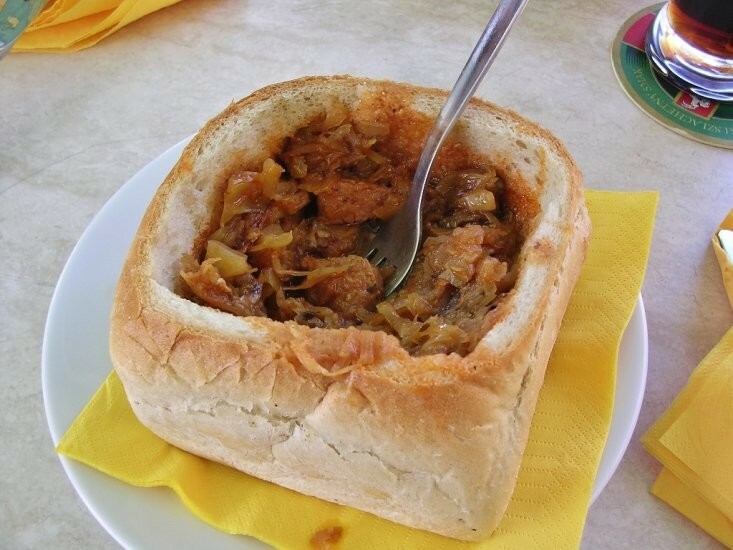 Bigos: You’ll either love it or vomit. 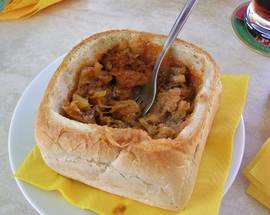 Bigos, a.k.a hunters stew, is made using meat, cabbage, onion and sauerkraut before being left to simmer for a few days. If you have second helpings then consider yourself a Pole by default. 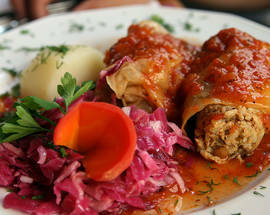 Gołąbki: Boiled cabbage leaves stuffed with beef, onion and rice before being baked in a tomato sauce. Urban myth claims Poland’s King Kazimierz fed his army gołąbki before his victory outside Malbork in a battle against the Teutonic Order. 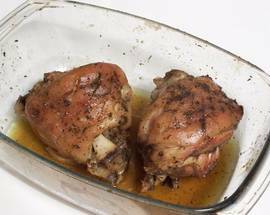 The unlikely victory was attributed to the hearty meal his troops had enjoyed before hand. 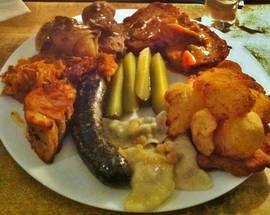 Kiełbasa: Sausages, and in Poland you’ll find several varieties made primarily with pork, but sometimes using turkey, lamb and even bison. 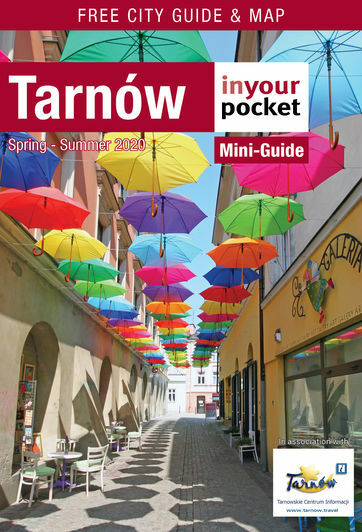 Few varieties to watch for including Krakowska, a Kraków specialty which uses pepper and garlic, kabanosy which is a thin, dry sausage flavoured with carraway seed and wiejska; a monster-looking u-shaped sausage. Kiełbasa was also the nickname of one of Poland’s most notorious gangland figures of the 90s. 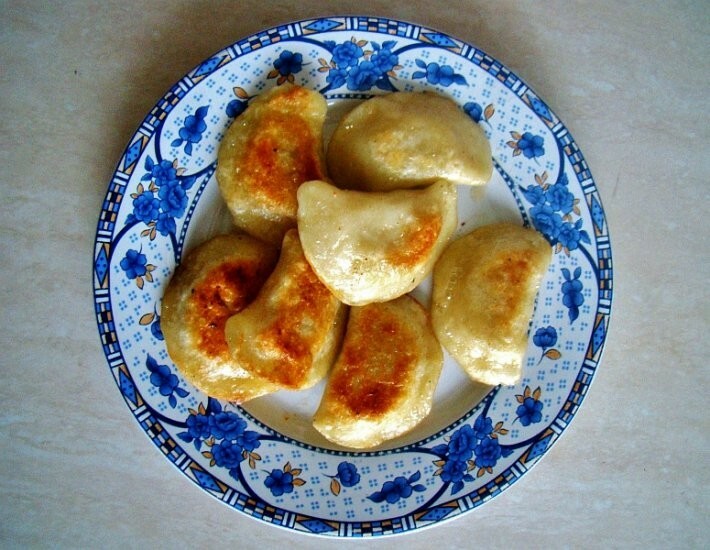 Pierogi: Pockets of dough traditionally filled with meat, cabbage or cheese, though you will also occasionally find maverick fillings such as chocolate or strawberries. 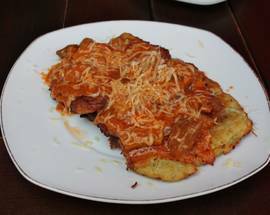 Placki: Nothing more than potato pancakes, often paired with lashings of sour cream. 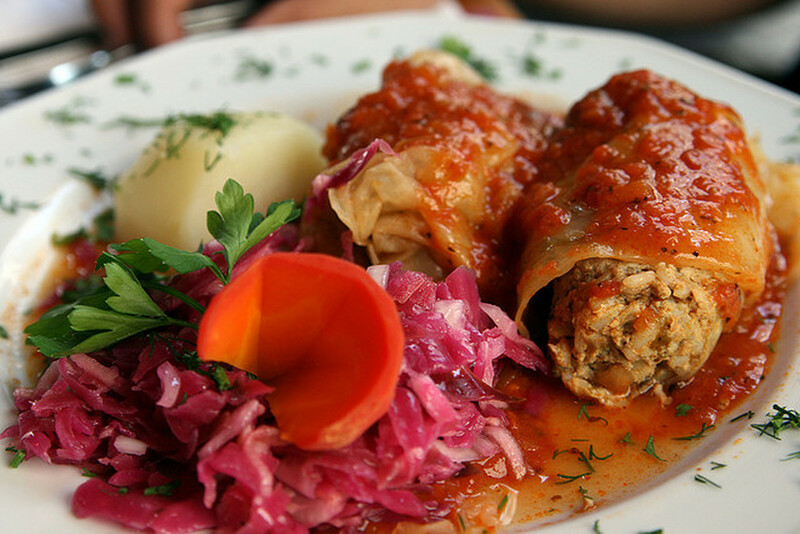 Again, all your traditional folksy Polish restaurants will have these on the menu, if not you have every right to raise a few questions in the direction of the kitchen. 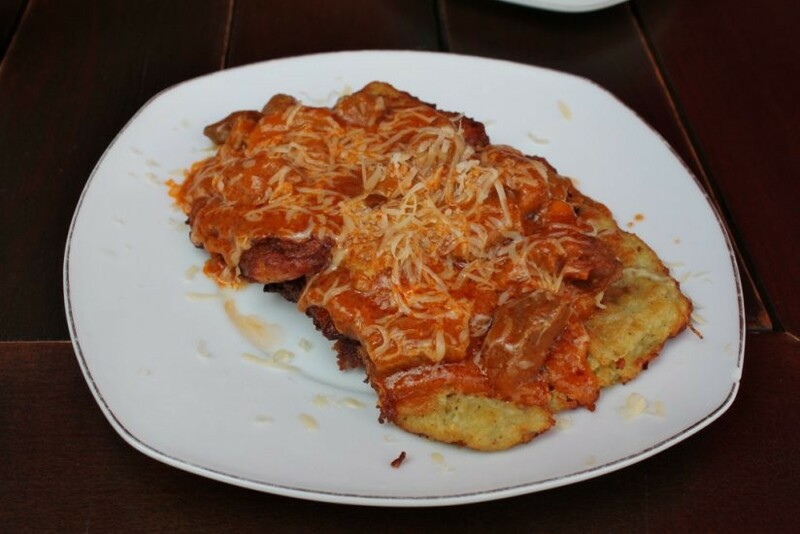 Zapiekanki: Also known as 'Polish pizza.' Take a stale baguette, pour melted cheese on it and then cover it with mushrooms and ketchup from a squeezy bottle. Best eaten when absolutely plastered. Where to buy it: various fast food cabins dotted around the city centre. Dessert: Few things in life get a Pole more animated than a good dessert. Sernik (a kind of cheesecake) being a must if you want to even attempt to convince a Pole you have visited their country. 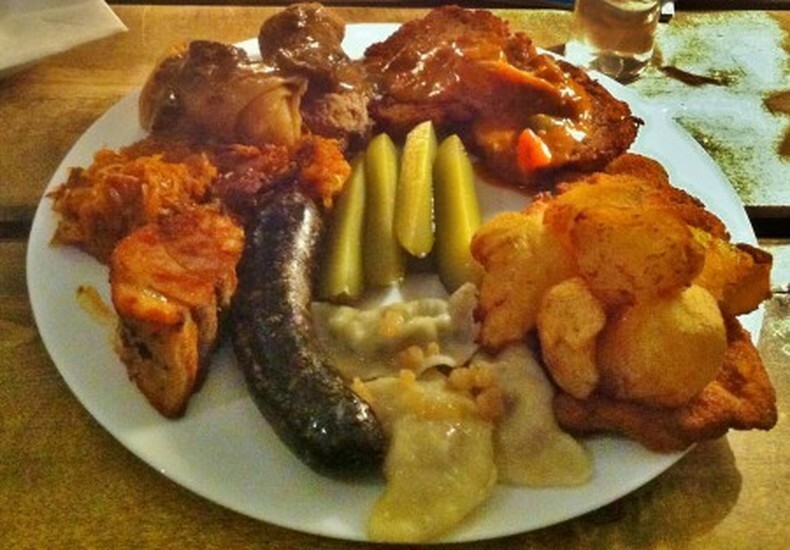 Kaszanka: This is the Polish variation of blood sausage, in this case pig’s blood mixed with groats, and is generally served fried with onions. Unlike in other countries it is not served in the form of a sausage. 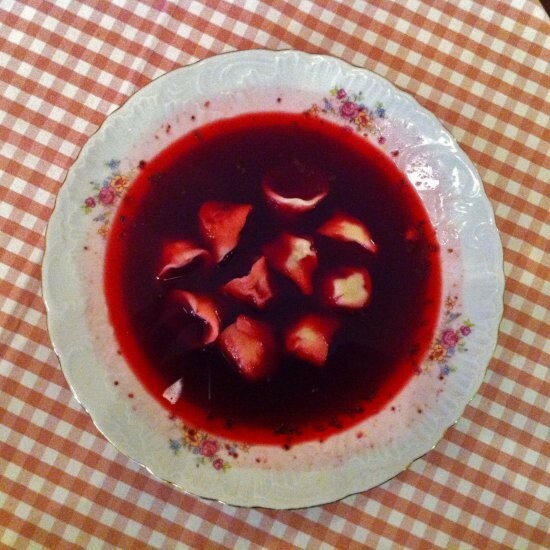 A variation on the blood dish is Czernina, a soup made of duck’s blood mixed with poultry broth. An interesting tale is attached to this dish as it was the dish served by the parents of young women to her suitors as a sign that their proposal of marriage was not accepted.